An unavoidable truth: pizza moves me. I sing songs about pizza, make up dance moves that mime pizza delivery, and try very hard not to buy pizza emblazoned socks and underwear. I also believe this truth to be self-evident: the only thing better than pizza alone is pizza with a glass or two of wine. Whether you’re eating straight out of the cardboard takeout box or dining at your local pizzeria, wine adds a little extra something to the pizza experience. As a (mostly) vegan pizza eater, I’m thrilled to share wine pairing knowledge that goes beyond the traditional chicken, sausage, Canadian bacon, meat lovers’ playbook. Here are ten favorite wines to drink with a slice of vegetarian or vegan pizza. are red or white wines better with pizza? Traditionally, pizza is composed of a thin crust with tomato sauce and cheese. Based on this ingredient profile, pizza generally calls for a red wine. Regardless of toppings, pizza tends to be earthy with a doughy, yeasty crust. Pizza is also a heavier meal (especially when compared to something like a salad), all of which add more support for a red wine pairing. However, pizza has evolved over time, with a growing multitude of options available at your nearest pizzeria. I recently read an article that Pizza Hut, a classic American fast food pizza option, is even rolling out its own vegan pizzas. So while red wine is a classic pizza pairing choice, there are now enough ingredients and combinations to break open our wine pairings options. 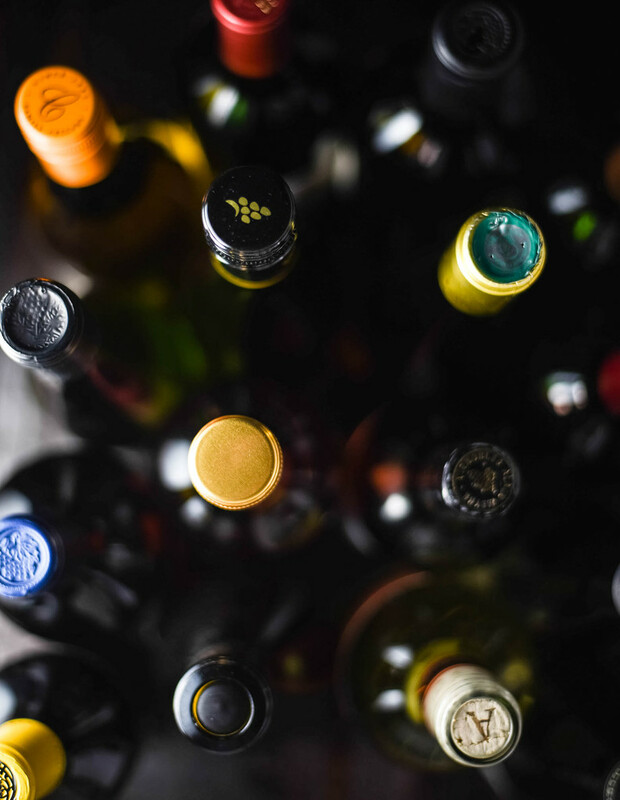 Have a favorite wine or a bottle already on hand? Keep reading below for tips on how to match it with its pizza soulmate. 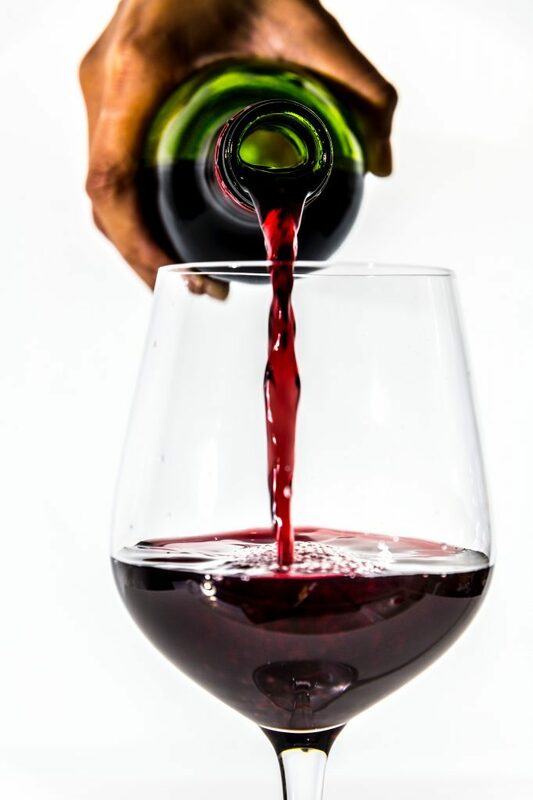 Whatever your wine choice, make sure that you have some good wine glasses to fully capture the aromas and flavors. My go-to’s are these Libbey wine glasses that work well for reds and whites. This red wine blend (also known as a Côtes du Rhône blend) tis a great choice for pairing with cheese pizzas. It has enough acidity to stand-up to the tomato sauce while also providing just the right amount of tannins to cleanse your palate and provide structure to your sips. Heavy tannins don’t play well with acidity from the tomato sauce, putting you at risk for a combination that produces an unpleasant metallic taste. 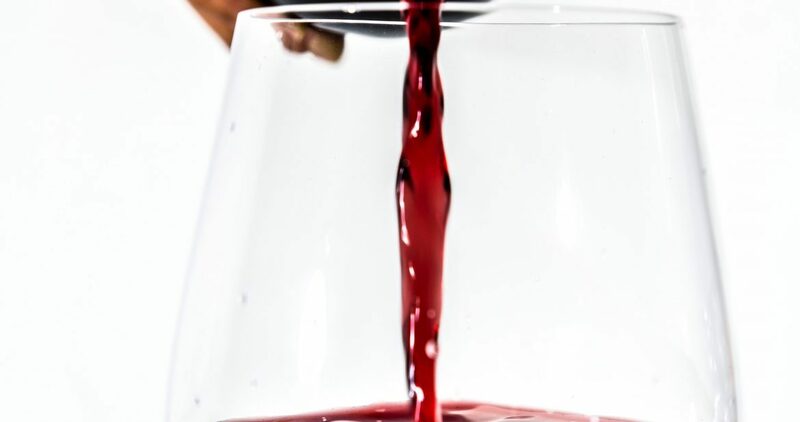 GSM blends steer clear of this danger by using blending techniques that concentrate on Grenache, Syrah, and Mourvèdre in ways that produce a supple, balanced, delicious wine. Grenache adds candied fruit, raspberry, and cinnamon flavors, while Syrah adds blueberry, plum and savory black olive notes to the mix. Mourvèdre is similar in its flavor profile to Syrah but adds a hearty dose of tannin, color, and structure to the wine. Perfect for your lighter flavored pizzas like a Margherita. Rosé is light enough to support the delicate basil with slightly more grip than a white wine to handle the acidity of the sauce. Made from red grapes, rosé wines are stained red from just a few hours of skin contact, whereas their red wine counterparts might spend weeks on the skins. The winemaker has complete control over the color of the wine, and removes the red grape skins when the wine reaches the perfect color. Rosés vary dramatically in both color, taste, and style, depending on the type of their base grape and the winemaker’s choices. Fortunately, rosé’s most common flavors of strawberry, rose petals, honeydew melon, and citrus zest all compliment the simplicity of Margherita. If a slice of white pizza is sitting in front of you and you want a red wine, Pinot Noir is a good bet. Pinot Noir supports the creaminess in two different ways. First, it’s a nuanced and oftentimes subtle red wine that doesn’t overwhelm food in the same way an Australian Shiraz might. Second, it has its own herbaceous and earthy notes which lends well to pairing with green herbs and mushrooms, both fresh and dried, that are often present in pizza. Pinot Noir is the one of the most highly prized wines in the world. The grape itself is weak and difficult to grow, suffering from a variety of diseases with genetics that make it susceptible to mutation. Given those challenges, expect to pay more for a bottle of good Pinot Noir than you would other reds. If you really want to play into the creaminess of your pizza, a Chardonnay is a good bet. It’s a full-bodied white wine which gives the structure and body to support pizza’s density. Cream-based pizza sauces elevates the natural creamy notes of Chardonnay (a textbook definition of a complimentary wine pairing). Pro tip on the Chardonnay front – the creaminess you taste is not caused by oaking, but instead by malolactic fermentation which is responsible for imparting butter and cream flavors. Chardonnay will add notes of lemon, pineapple, pear, peach, and passionfruit to your meal. A popular pizza trend these days is salad pizza, where salad greens like spinach and arugula are piled high on top of a thin crust pizza. In other words, there’s a lot of green going on so you’ll need a wine that can handle herbaceous and vegetal qualities. Sauvignon Blanc is a good bet, with natural green flavors like lime, green apple, and kiwi. Sauvignon Blanc also adds a refreshing element of tart acidity so your mouth is continually refreshed in between bites. Feeling a little more adventurous? This sparkling red wine from Italy gets us out of the box with bubbles to clear your mouth of all the cheesy richness (even if it’s vegan cheese). Lambrusco is also served chilled so it’s welcomingly refreshing to a meal that can otherwise leave you a bit sleepy. Avoid going overly sweet and instead, try a dry (secco) style to play into pizza’s savoriness. Lambrusco is one of my favorite change-of- pace wines, especially with pizza. Chinati is probably the most classic wine and pizza pairing. Made from the Sangiovese grape in Italy, this wine makes me dream of pizza when I drink it. Good Chianti is both savory and spicy, with red fruits, bitter herbs, balsamic vinegar, smoke, and leather notes. I always feel like I’m drinking an olive when I sip one of these, which makes it a divine pizza pairing. Look for a Chianti Classico, which is at least 80% Sangiovese, or a Brunello di Montalcino, which is 100% Sangiovese. If you read Plant & Vine often, you know I’m a big fan of Beaujolais, a light red wine that can be surprisingly affordable for some really nice bottles. Made from the Gamay grape, Beaujolais has an earthy, mushroomy deliciousness that’s not unlike Pinot Noir but for a fraction of the cost. The earthiness of the wine also lends to pairing well with pizza, especially pizzas loaded with mushrooms and potatoes. The Cru wines of Beaujolais are a step up in quality and distinction from Beaujolais Villages and two steps up from Beaujolais Nouveau, while still remaining affordable ($20-$40). If you’re a sweet and salty fan, I recommend a semi-dry (demi-sec) Vouvray or Riesling with a pineapple pizza. The sweetness in the wine will match the sweetness in the pineapple, while the acid in the wine will cut through the richness of the pizza. If you’re pairing with a dessert pizza (think: fruit, caramel, or chocolate), find the sweetest bottle of Riesling or Vouvray you can. The general rule of thumb when pairing wine with sweet foods is to make the wine sweeter than food, so it still tastes delicious and not bitter when you take a sip. If your pizza is loaded with vegetarian or vegan meats, consider a fuller red wine for your pairing selection. Full-bodied wines like Syrah work well with veggie meats like sausage or pepperoni because they often include complex spices like fennel, anise, thyme and oregano,to intensify flavor. Syrah works well with these savory profiles while adding dark fruit flavors of blackberry, olive, plum and blueberry. Interested in learning more about the nuances of plant-based food and wine pairing? Check out this wine pairing guide, overview of vegan wine, and recommended wine drinking resources.